Trumbull’s Jon Kosak, in black, and Danbury’s Ryan Jack, in white, wrestle in the 126-pound weight class during a Jan. 16 match. 2019 somehow raised the bar with perhaps the finest grappler the school has ever produced. Ryan Jack wrote his name in the Danbury record books this past weekend, becoming the first from Clapboard Ridge to win a NHSCA national championship. He won all seven matches across three days in Virginia Beach, Va., in the 126-pound division while trailing for just one period along the way. With about as much experience as possible — with older brother Kevin, current NC State freshman Jakob Camacho and a host of Hatters — in his corner, Jack rolled to the title. Jack — who earned All-American honors for the third straight trip — was also named the Most Outstanding Wrestler in his year for the complete performance. He finished his season at 47-0 by winning a 12-5 decision over Zach Redding of Eastport-South Manor (N.Y.) in the finals. The FCIAC, Class LL, State Open and New England champion is just a junior, leaving another year to possibly own every record that’s available for the Hatters. He’ll now get a short break before joining up with his club team Empire Wrestling Academy. Several other locals claimed All-American honors, too. Danbury native and Iona Prep junior A.J. Kovacs took second at 152 while Hatters teammate Kyle Fields was named All-American for a third straight season by taking fifth at 132. Fields knocked off Timberlane’s Connor McGonagle in the quarterfinals; Fields lost to the Lehigh-bound senior in the New England finals in early March but responded under the brightest lights. 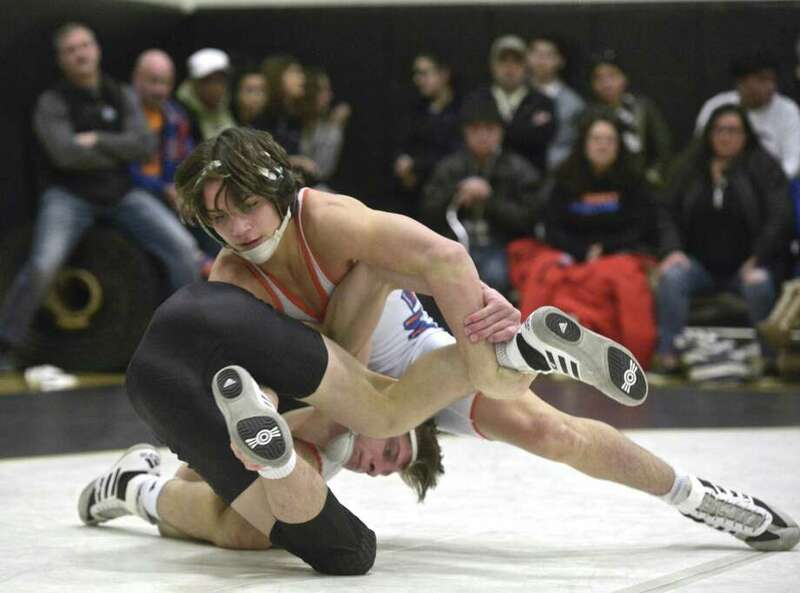 Danbury won more than 30 matches as a team, having brought about 20 grapplers to the site, ending the season that produced a second New England title in three seasons. New Milford senior Joanne Ortiz took third in the 103-pound division in the girls’ portion of the tournament.